Home > Archive by Category "Insurance Lawyer"
Does insurance cover plastic surgery? Yes, your health insurance policy might cover your plastic surgery procedure when the surgery will be categorized as a non-cosmetic surgery. However, there will be certain terms and conditions. When Does A Health Insurance Cover Plastic Surgery? Many things will depend on the type of health insurance you have and your insurance company. There are a few factors that you need to consider in order to know that your plastic surgery is covered by your own insurance or not. It is important to know if the surgery is cosmetic, reconstructive, or to preserve the quality of your life. The type of surgery that you’ll have will decide the coverage that you’ll receive. Coverage might be different for a facelift compared to a someone who is recovering from labor and is in need of a mommy makeover. Reconstructive surgery means that these surgeries performed are to correct the abnormalities caused by developmental abnormalities, congenital defects, infection, trauma, and disease. These surgeries can help to improve the functionalities or can correct abnormalities to offer a normal appearance. Cosmetic surgery is related to reshaping any normal structure on the body for improving the self-esteem or appearance of the patient. When getting any sort of cosmetic surgery procedure done, be sure to do your prior research and choose a qualified plastic surgeon. The health insurance companies will have the freedom to evaluate the condition. They may evaluate differently depending on their policies. They are the final interpreters. Different companies might take things different differently. An example of how these insurance companies might interpret procedures differently is the procedure of circumcision of infants. While some companies cover this procedure, others do not since they find it cosmetic. Abdominal Surgery: When the surgery is performed to improve your health problems including a hernia, sores, back pain, and your walkability. Eyelid Surgery: If it is done to correct vision problems or to improve drooping eyelids. Breast Surgery: When the surgery is performed to minimize the size of breast that causes health complication, congenital absence or to reduce the size of male breasts. In the case where a breast reduction is needed, the 1998 Federal Breast Reconstruction Law, and sometimes referred to as the Women’s Health and Cancer Rights Act of 1998 requires insurance companies to provide coverage for breast reconstructions after a mastectomy. Facial Surgery: If it is done to boost the appearance caused by threat deformities in the head and neck or paralysis. Ear Surgery: When done to correct deformed ears by diseases, injury, or birth. Nasal Surgery: If performed to correct the abnormalities resulting from disease or birth causing breathing problems. Hand Surgery: When done to treat nerve injuries, fused fingers, carpal tunnel syndrome, and similar conditions. Does insurance cover plastic surgery? Yes, if you meet any of the above conditions, your surgery might be covered by your own insurance. 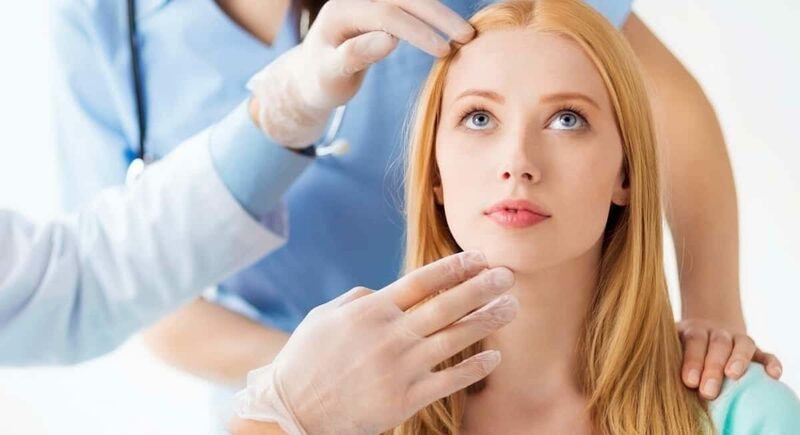 Most surgeries that are covered by insurance companies include abdominal surgery, eyelid surgery, breast surgery, facial surgery, ear surgery, nasal surgery, and hand surgery. There are few to-do lists that we need to tick off the moment we have a stable career! Other than opening a savings account and making the necessary investments, it is also essential to opt-in for your life insurance. Selecting the correct policy is essential. Additionally, you also need to know the process of life insurance claims, so that you can claim it later. According to the standard procedure, all life insurance claims are paid within a maximum of 30 days after submission of a formal claim to the concerned insurance organization. When the claim surpasses the 30-day time, the insurance company considers it as delayed. A delay of any kind will strain the survivors. Furthermore, a delay can happen due to multiple reasons. Majority of the time, when insurance company denies claims and the reasons supporting the same are unfavorable! From missing important data to technical errors, the reasons are varied. To put some order and promise of receiving the claim, it is essential for people to reach out to expert life insurance lawyers. Delay in obtaining the insurance claim doesn’t necessarily mean that the claim will get denied altogether. But if you are facing a delay over a month or two, you need to look into the matter seriously. Addressing a delayed insurance claim is essential. Also, you need to know the possible reasons that cause a delay. Discussed below are some of the essential reasons that postpone your claims. Is the beneficiary a minor child? If yes, then the life insurance claims will get delayed till such time the insurance organization receives the necessary details about the minor’s guardians. It is important to add the minor’s guardian in the claim. There are times when a spouse doesn’t get added as a beneficiary for a community-property state. In such cases, it is possible for the spouses to claim a certain amount of the proceeds from the insurance policy. Sometimes there can be significant life changes occurring in people’s lives! You might have a major setback as well, such as a divorce. There are instances, when people get married, have children, or change locations and many more. In such situations, the names of the beneficiaries get changed in their life insurance policies. When these changes aren’t updated, the claim will get delayed. When an insurance claim doesn’t carry the name of a beneficiary, the concerned insurance company will either pay the proceeds based on the state law rules. And this can delay the insurance claim as well. How to avoid any life insurance claim delays? One of the intelligent ways to avert all kinds of denials and delays in your life insurance claim is to consult a life insurance lawyer. This attorney will ensure that all the correct data gets added with the claim. Going forward, the lawyers will let the insurance companies know that they want a clear claims policy in place. The moment an insurance company is aware that you have a lawyer to guide you; they will stop delaying the claim because you didn’t add any unnecessary details. Right from the start to the end, it is essential to add in only the correct data in your insurance claim. A missing or wrong data will lead to a delay. It is essential to appoint a beneficiary and ensure that you name the correct beneficiaries. You must also make the necessary updates if there has been any significant life change. It is a smart call not to let your policy lapse because of any non-payment issues. Ensure that you have made the necessary arrangements for another person to receive the relevant invoices so that the premiums are paid on time, even when you are not present. Every insurance company has its process for a claim. The company will inform you about all the details that it requires before they start to pay the benefits. You need to ensure that all the details and correct get submitted in time. There are times when a delayed life insurance claim becomes a denied one. In such a situation, it’s pointless to follow up the life insurance company all by yourself. You need to know the correct legalities supporting this process. 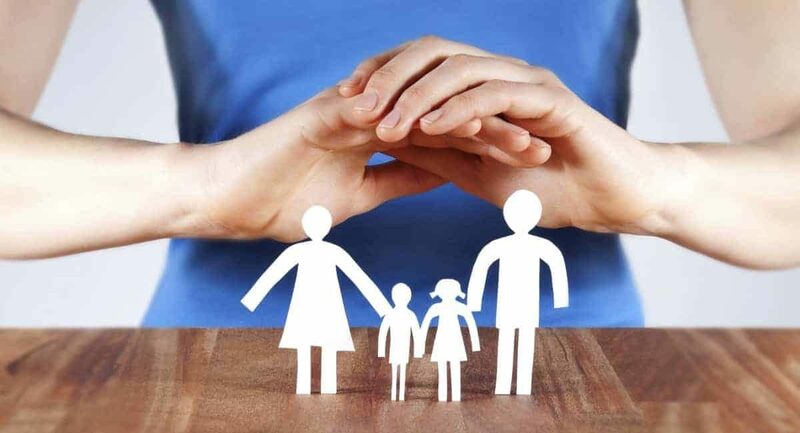 For this, it is essential that you get in touch with an ace life insurance lawyer who has the necessary expertise to address this issue and resolve it successfully, at the earliest. Each lawyer has their way of working! There are expert life insurance lawyers who can make you receive a claim, from a claim that the insurance company denied before. Some ace lawyers proceed with the case at hand by meeting the claims representative of the life insurance company. The lawyer attempts to convince the representative to clear the payment in within two weeks. Just in case a claim gets denied, the lawyers will have to get down to serious work. They will have to submit a legal brief, that’s anything between 100 and 200 pages, to the company’s legal section directly. After this, both you and your lawyer will have to allow some time, preferably a month for the company to share their decision. Usually, this is the process that most lawyers follow. However, every case of a life insurance claim delay or denial has its challenges. Hence, the solution provided by the lawyers is case specific and subjective. It is always a smart call to go ahead under the guidance of an expert lawyer! If you try to resolve this complex issue yourself, you might fall into more trouble. You can ask for recommendations from your friends and family for a life insurance lawyer. Close references prove useful most of the time. That aside, you can always research online and gather the names of the law firms and get connected. Ohio State Patrol has investigated 46,389 auto accidents year-to-date in 2018—including 822 fatalities. And, that only includes those accidents reported. Many accidents, reported or not, will lead to insurance company issues. The companies involved will argue responsibility, damages, and personal injuries. And, they will lengthen the process it takes to satisfy the parties involved. Dealing with uncooperative insurance companies may require the assistance of an experienced auto accident attorney, sooner than later. Identify your problem: An insurance company may claim that the accident or injury falls outside the policy coverage. Or, it might insist damages have been determined incorrectly or unfairly. If you are confident after reviewing your policy, then you should assert the insurance company’s offer was inadequate and you expect more. Check the law: Insurance companies must comply with state rules. If you check state law on the state website and find your insurer violates them, your dispute is all the stronger. Use a third party: Insurance appraisers work for their employers’ interests. But, an independent appraiser may see things differently. Document, document, document: You must collect and organize all communications regarding the claim. Gather any notes, letters, reports, texts, and emails. Make that call: With your work and thoughts organized, you must call the insurance company to report the problem the way you see it. If you stay firm but polite, you can make a stronger impression. Put it in writing: Having reported your complaint to the insurance company, you should put your understanding in writing to the claim adjuster. That letter will serve to prove you have reported the dispute. Amp up the dispute: If the insurer fails to honor its commitment or ignores your dispute, it is time to complain to the Ohio Department of Insurance. They will investigate your complaint. Get a lawyer: With an experienced lawyer behind you, you can present the best case. With all your records prepared, you can visit this attorney’s office to see what dispute you have. The lawyer may or may not recommend suing. Lawyers can negotiate your claim dispute without going to court. Think about mediation: The lawyer may show how mediation may be in your best interest. A third-party mediator will negotiate a resolution that satisfies everyone without the cost of going to court. Go to court: Depending on the state’s limits, you can take a dispute to Small Claims Court. With all your records with you, you can navigate Small Claims Court on your own. But, if need a settlement on a larger claim, you can press your lawyer to sue the insurance company for its bad faith practice. Insurance companies have obligations to their stakeholders. They should not reward frivolous claims. But, they should honor their commitments to policyholders, too. So, if you find yourself unhappy with the insurance company’s handling of your claim, these 10 recommendations should help. When Should You Hire an Insurance Lawyer? As insurance companies will jump through hoops to avoid payouts, they continue to pay their CEOs hundred million dollar salaries. Meanwhile, you could be offered a settlement that inadequate to cover your medical bills. When dealing with an insurance company, it’s important to consider hiring an insurance lawyer. While your first thought might be that a lawyer is too expensive or too much of a hassle for your claim, think again. Insurance lawyers can handle multiple cases at one time, meaning that their prices will be accessible to the average claimant. Insurance lawyers know the kinds of returns that you’re meant to get and will adjust their fees accordingly. When going up against an insurance company, it can be hard to know how to get what you deserve. Instead of sitting on the phone, hoping to get through to the right person, let an insurance lawyer handle your case if you run into one of these 7 issues. If your insurance company denies your claim for no good reason, they’re not just being difficult. They could be in violation of the law. Even when dealing with unique insurance claims, providers need to provide valid reasons for your denial. US laws require that insurance companies always act from a “good faith” perspective when dealing with claims. They are meant to take an approach that assumes that your priority is to get help with costs related to your issue, not to become an overnight millionaire. If you’re a good customer who regularly pays your bills and is in good standing, you should have your claim processed quickly and efficiently. When your insurance company is throwing hurdles in your way, it’s time to call an insurance lawyer. When you were denied, did your insurance company give you a valid reason? If not, you should call a lawyer right away to handle your case. If your insurance company is refusing to pay out for a reason that you know to be completely false, you have grounds for a lawsuit. Your insurance company is acting in violation of the law and you need to take action. Unfortunately, when this happens to most people, they feel powerless. They don’t know what to do or who to turn to. The might not even realize that an insurance lawyer could help them. If you have been injured or have a disability due to an accident or incident, your insurance company could wrongfully dispute your disability. They could wrongfully claim that there is a limit on paying for damages if the incident occurred years before. They could also incorrectly identify your issue so as to deny that it’s a valid issue under their payable claims. When an insurance company purposely offers less than they know they should, they could be in violation of federal or state laws. An insurance attorney will be able to help you to define what it is you’re owed. If your payments are delayed beyond the time period that was originally agreed upon when you signed the policy, you could have grounds for a suit. If you’re not provided with a proper legal explanation, you should call an attorney. States set limits that require insurance companies to resolve situations within a given period of time. If their responses have been unreasonably slow, an attorney can figure out what’s going on. When you submit all of your documentation and information to make a claim, it is the insurance company’s responsibility to tell you if they require more documents. They are also required to tell you the status of your claim in a timely manner. They could keep you waiting, hoping that you give up hope and they can go without paying your claim. This is one of those instances when you need to get on the phone with an attorney ASAP. If you went to make a claim and found out that your policy was unexpectedly cut off, you should get on the phone with an attorney immediately. If you don’t resolve this issue immediately, you could end up paying your bills out of pocket. It’s actually illegal for an insurance company to terminate your policy without warning you or without having a good reason. If they claim your policy has ended right after you file a claim for a personal injury, this should raise a few red flags. Not only is this unethical and inhumane, but it’s quite illegal for an insurance company to deceive you in this way. Calling an insurance lawyer can help hammer out the details and get your issues sorted out. If your insurance company is sending you to speak to their attorney, you should probably get an attorney as soon as possible. Likely, they’re hoping to build a case and have you speak on the record. They will try to get you to either incriminate yourself or invalidate your claim. The insurance company’s lawyer has the insurance company’s interests in mind, not yours. Anything you say to the insurance company’s attorney could get turned into part of a countersuit or a case built against you and your claim. An insurance lawyer can help to coach you on any phone calls you need to make or any meetings you need to attend. They should be able to provide you with representation in person and even orchestrate conference calls with you. If they’re coming for you with their attorney, you’re not going to want to step into battle alone. Having an insurance lawyer might seem like a big expense up front, but talk to your lawyer about fees before you begin. Some attorneys, given a strong enough case, will only bill you if there’s a settlement. This way you can ensure you’ll get proper representation without having to go into debt. If you’re ready to look for the right attorney for your case, contact us today to get started with your search.